Inspect the neighborhood of thy life; every shelf, every nook of thine abode. “You're only as old as you feel" is a cliché many hope to be true, and yet only recently has been scientifically tested with surprising results. Ellen Langer, Ph.D., a social psychologist and the first female professor to gain tenure in the Psychology Department at Harvard University, has spent the last 40 years researching the interplay between mindfulness, health, well-being, and aging. For nearly 40 years, she has been researching and writing about mindfulness – defined as a sustained awareness of thoughts, feelings, bodily sensations, and the surrounding environment. Dr. Langer expands this traditional definition to include the process of actively noticing new things and challenging our natural human tendencies to be inattentive over time. She focuses on the processes of the mind and how they directly correlate to the way one feels, what one does, and what level of life satisfaction one perceives. Her research suggests that mindfulness, as she defines it, reduces stress, unlocks creativity, enhances performance, improves health and increases life satisfaction. 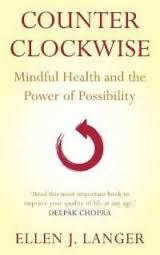 In 1979, Dr. Langer conducted an important research project that contributed significantly to our understanding of mindfulness today and eventually led to the writing of her 2009 book, Counter Clockwise. Dr. Langer and her colleagues recruited healthy men in their late seventies to early eighties to participate in a study that looked at the impact of the mind on health and the aging process. In this study, one group of men (the control group) were taken to a country retreat for a week and asked to talk about their past - specifically, reminisce about their experiences in 1959. The second group of men (the experimental group) were taken to a country retreat for a week and asked to live as if they were back in 1959. The surroundings of the retreat, from décor to appliances were set up to replicate 1959. They were only allowed to refer to themselves, others, current events, and experiences as if they were 20 years younger. Prior to the retreat, the men were given a battery of tests to include: weight, dexterity, and vision. Their intelligence and visual memory was assessed and each was photographed. At the conclusion of the retreat, each group showed improvement in several areas, like hearing, independent functioning, and memory recall, attributed to the fact that their minds were actively engaged, they were removed from their daily routines, and they were allowed to make independent decisions (Langer, 2009). In addition to these overall gains in both groups, the experimental group stood who “acted as if” they were in 1959 actually appeared to be younger than the control group at the end of the retreat. Results from tests showed that they were more open and aware of their surrounding, they showed greater improvement on intelligence tests (63% compared to 44%), and they had noticeable improvements in height, weight, gait and posture. When people unaware of the study were asked to evaluate images of both groups, all judged participants in the experimental group to be noticeably younger at the end of the study (Langer, 2009). The findings of this counterclockwise study led Langer to conclude that, “the mind has enormous control over the body” (Langer, 2009 p.10). This study led to the groundbreaking concept that perhaps our thoughts can actually affect the aging process – or, looking back to our original cliché, perhaps we are only “as young as we think.”. Dr. Langer’ earlier books, Mindfulness (1989) and The Power of Mindful Learning (1997), focus on the importance of mindfulness, paying attention to life itself, to function at optimal levels. 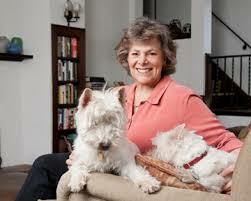 She suggests that we make too many choices on “autopilot” without thinking about what choices we are making. Dr. Langer proposes that when we make more mindful choices, we experience better health, lead more optimally, and learn more effectively. Mindfulness helps people cultivate happiness by stepping away from habitual, often unconscious, emotions and reactions to everyday events and respond, instead, with thoughtfulness (Langer, 2009). Mindfulness supports many of the seven habits of happiness, such as recognizing personal strengths, building strong relationships, and maintaining a positive mindset and optimism. Today, Dr. Langer continues to research, explore, and teach about the power of mindfulness at the Langer Mindfulness Institute. In April, 2014, she co-authored the two volume handbook, The Wiley Blackwell Handbook of Mindfulness, that brings together multi-disciplines to discuss mindfulness across fields, including consciousness and cognition, education, creativity, leadership, organizational behavior, law, medical practice, therapy, well-being, and sports. In addition to her work as a researcher, Dr. Langer is also an accomplished artist. 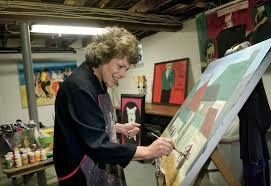 Her artwork is displayed in the J & W Gallery in Lambertville, New Jersey. Langer, Ellen J. (1989). Mindfulness. Reading, MA: Addison Wesley. Langer, Ellen J. (1997). The Power of Mindful Learning. Reading, MA: Addison-Wesley. Langer, Ellen J. (2005). On Becoming an Artist. New York: Ballantine Books. Langer, Ellen J. (2009). Counter clockwise: mindful health and the power of possibility. New York: Ballantine Books.